Lani Daniels wins Local award ahead of her World title fight against Geovana Peres on March 30th. 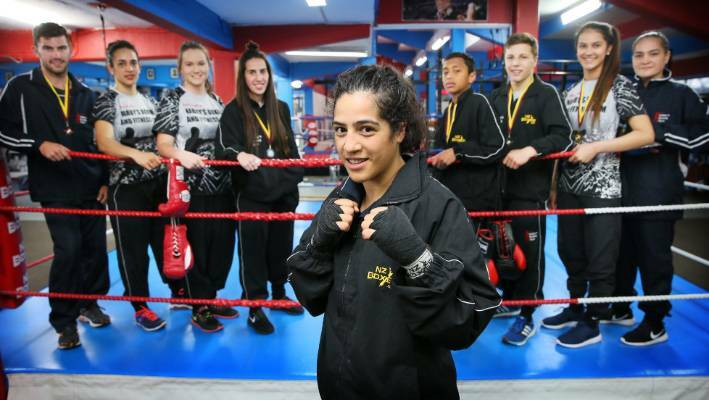 It was announced over the weekend that “The Smiling Assassin” Te Arani Moana Daniels aka Lani Daniels, won the Northland Sports Award Female Boxer of the Year. Daniels was also nominated for Sportswomen of the year, however that award was presented to New Zealand Black Sticks Captain Ella Gunsons. Northland is the Northern region at the top of the North Island in New Zealand. The award ceramony was held at ASB Stadium in Whangarei, Northland. Lani Daniels have beaten Trish Vaka and Quinita Hati for the award, both who have won the award in the passed. Daniels was not able to attend the ceromony due to her being in camp for her next fight. Lani Daniels 2018 began with a split decision Lose against Geovana Peres. However she turned the year around by defeating Nailini Helu and Tessa Tualevao for her second New Zealand title. After her two wins she recieve a No 7 ranking on Boxrec and No 9 ranking on WBA. Due to her achivement she was nominated for her award. Lani Daniels is currently in camp, preparing for her fight against Geovana Peres in a rematch for the vacant WBO World Light Heavyweight title. The fight will be held on March 30th at SkyCity Convention Centre in Auckland, New Zealand. The event which is promoted by Bruce Glozier of Glozier Boxing, is Sold Out. The event will be televised, however it will be delayed coverage, with it being broadcast most likely on Wednesday night, NZ time.